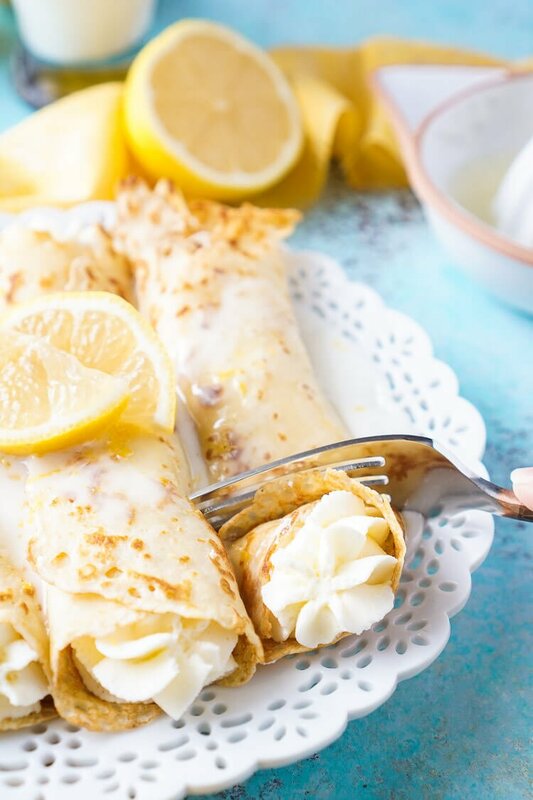 These Lemon Cheesecake Crepes are a rich and vibrantly flavored brunch! Crepes are one of those things that I don’t make all too often, but when I do, I like to go all out! 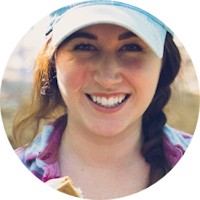 I like both sweet and savory crepes, but they’ve got to have bold flavor! 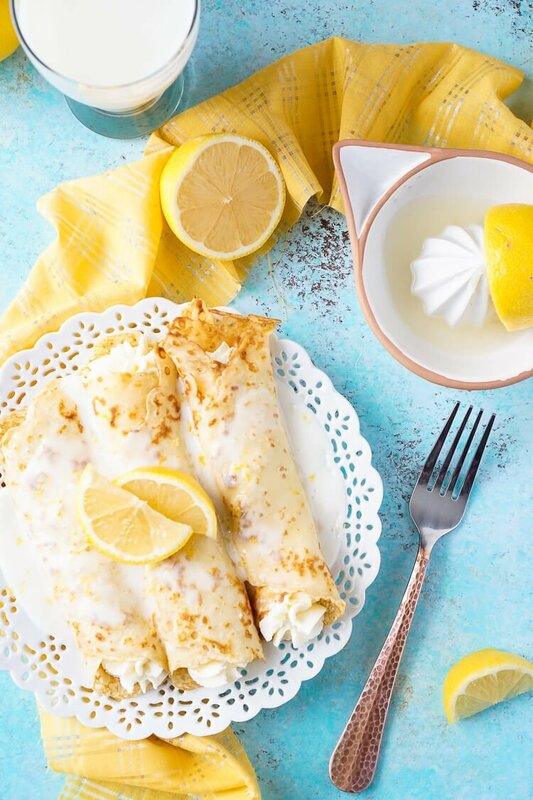 I love that crepes are simple on their own making for endless possibilities when it comes to how to dress them up! The last crepe recipe I posted were these savory Chicken and Spinach Crepes… SO GOOD! 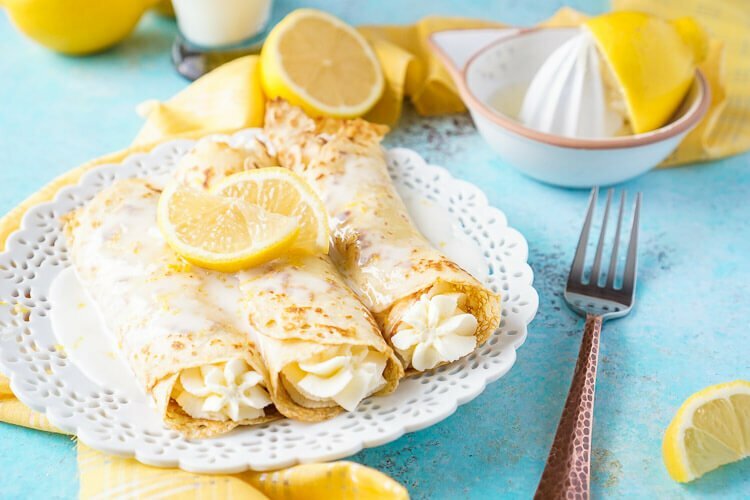 But lately, I’ve been craving some that are a little more on the sweet side and these Lemon Cheesecake Crepes definitely hit the spot! 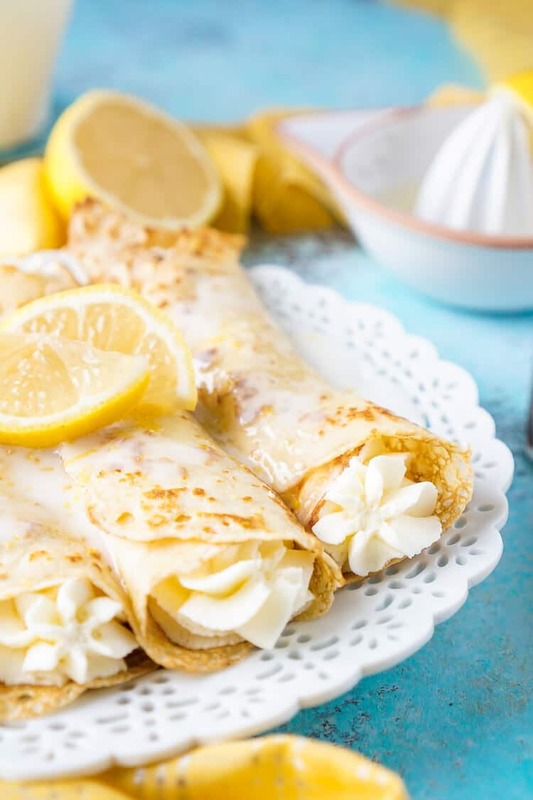 One of the things I love most about crepes is that the batter is made in a blender and can be made up to 48 hours ahead of time, talk about ease! 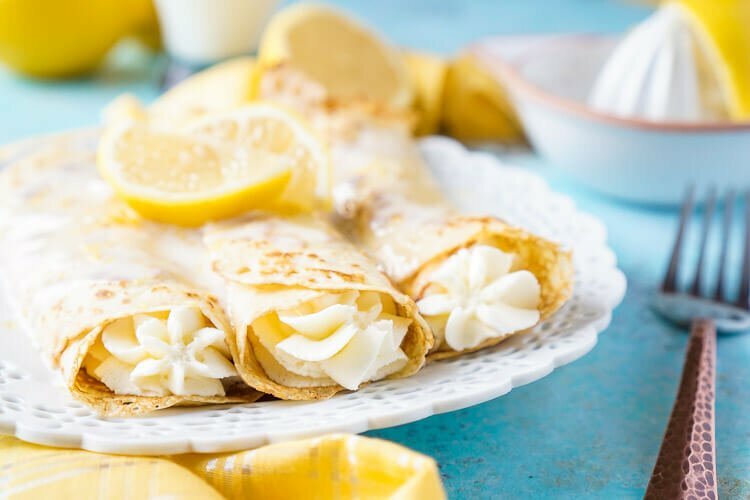 Make the batter at night so you’re only 20 minutes away from these light crepes with an airy, mousse-like filling and drizzled with lemon icing and zest! I really don’t know if brunch gets any better than that! The only thing that would make it better is sharing it with friends. 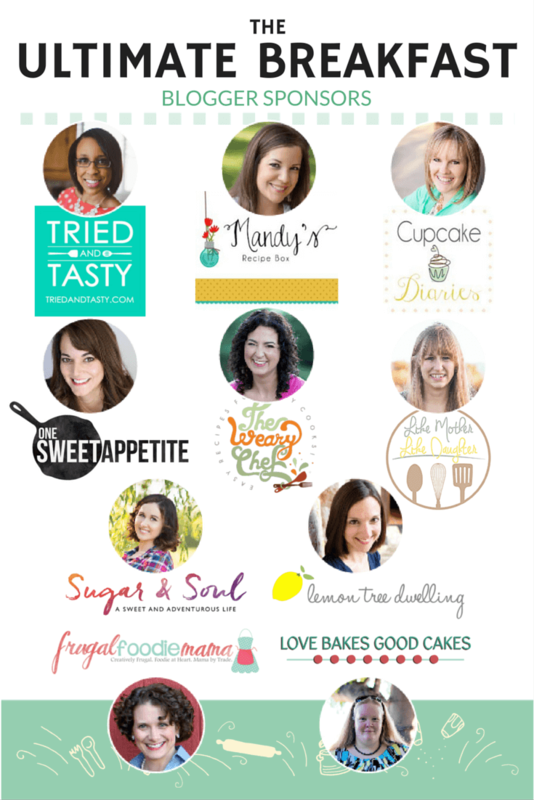 But since so many of my friends live far away, we’ve decided to host a virtual brunch! And we want you to join us! 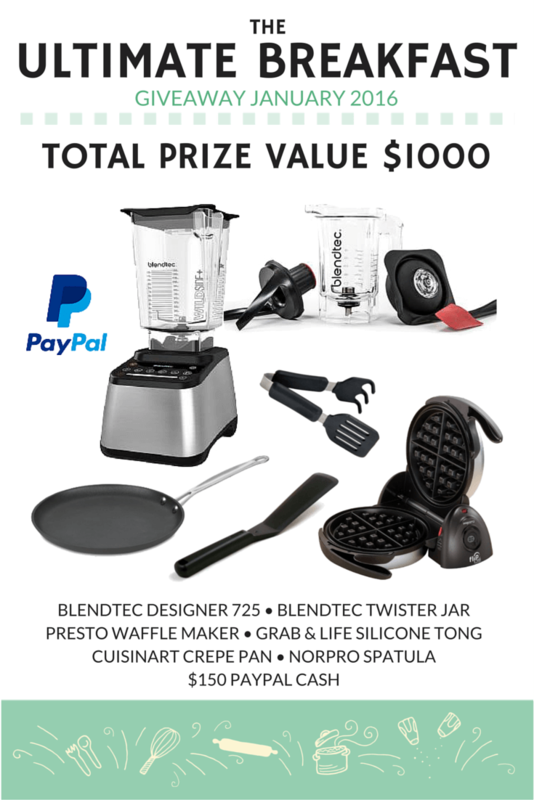 What’s even better is that we’ve teamed up with Blendtec to give one of you an incredible prize pack valued at $1000! 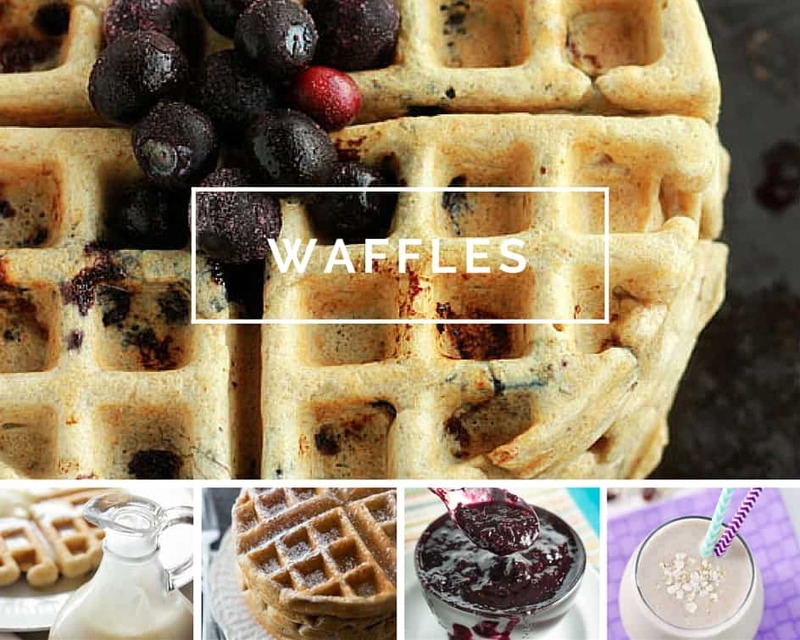 Kinda wishing I could win this because I’m in serious need of a new blender and a legit crepe pan sounds amazing! Enter below! Combine all ingredients in a blender and pulse for 10 seconds. Refrigerate for at least 1 hour and up to 48. Once the batter has set, heat a small pan and add butter. Pour about an ounce of batter into the center of the pan and swirl around to spread evenly. Cook for about 30 seconds, then flip and cook for another 10 seconds. Move them to a flat cutting board to cool and continue until batter is gone. Combine all ingredients in a bowl or stand mixer fitted with a paddle attachments and beat until light and fluffy, about 2 to 3 minutes. Pipe filling down the center of each crepe, rolling the sides up over the filling and plate. Stir together ingredients until smooth icing forms. 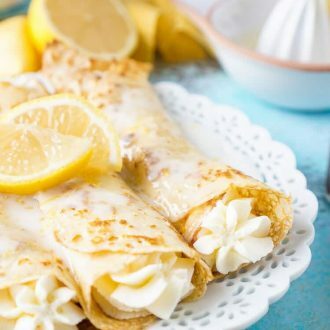 Drizzle over prepared crepes. Garnish with lemon slices and extra lemon zest if desired. Make the batter up ahead of time and keep it in the fridge until you're ready to use, up to 48 hours. This recipe looks amazing. 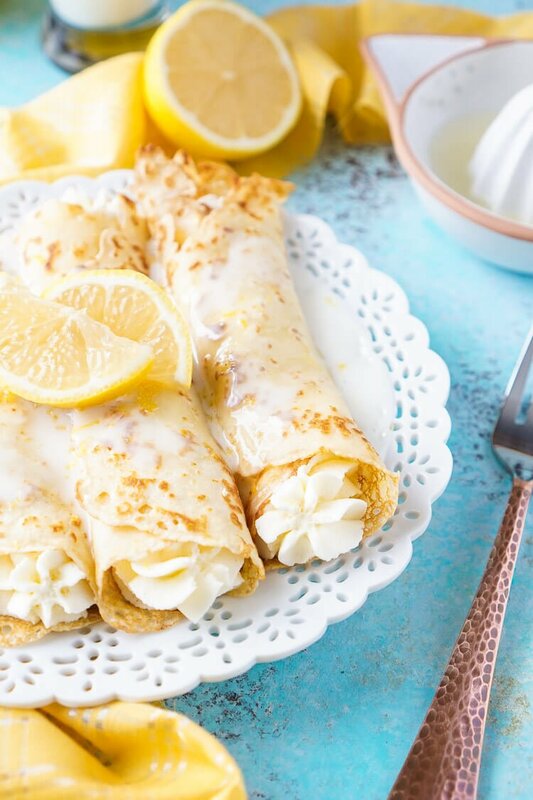 My mom loves crepes, so I’m making these for her tomorrow for Mother’s Day. Can’t wait to try! Hi Steff, you can get those plates at Pier 1! There is a ? for the quantity of milk in the recipe for the crepes. How much milk? It says serves 4. How many crepes per person is that? I will be making these for dessert after savory crepes. The recipe had been updated. 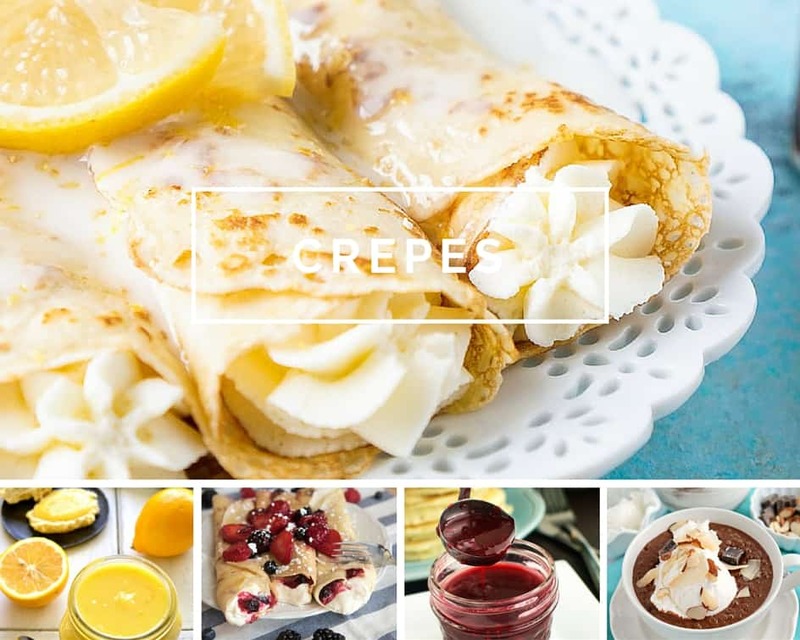 This recipe makes about 10-12 crepes depending on the size you make them. So 3 crepes per person if you make them a bit smaller. 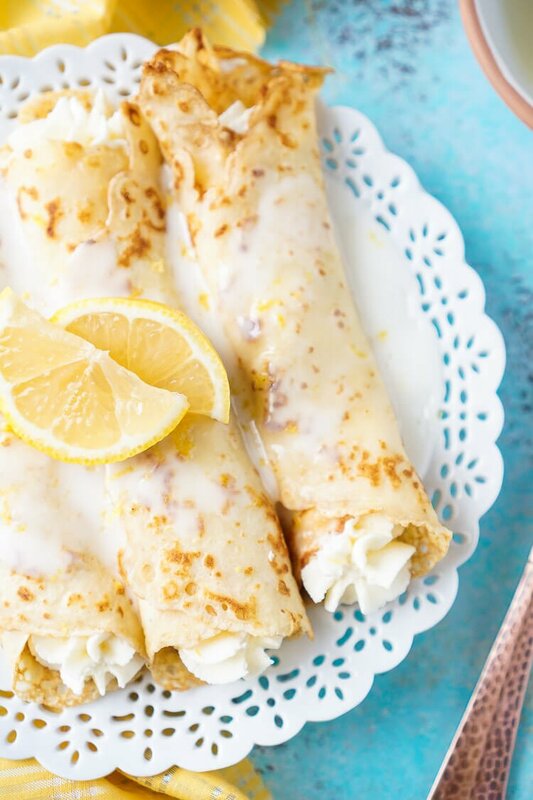 I made these today, per the instructions, I’ve made crepes before, plenty of times. The batter was too thick for crepes, and I ended up throwing it away and making a batch of crepes from recipes I’ve used before. The filling is way too sweet, I made it for my sons and I (we all have sweet tooth’s) and we all agreed it was way too sweet. Usually when I make a recipe we talk about whether it’s a keeper or not, and we all agreed that it was not a keeper. I even threw away the filling that we had not used yet. Sorry for I don’t give this more than 1 star. Hi Paula, I’m sorry you didn’t enjoy the recipe. The crepe recipe is Alton Brown’s, one I use and have trusted for years so I’m sorry to hear it didn’t turn out for you.